How does a company train new hires while the manufacturing facility is still under construction? 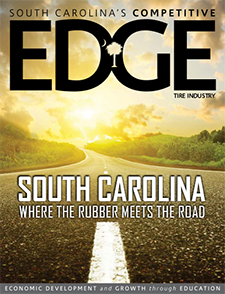 In 2012, Continental Tire began hiring new employees for its start-up facility in Sumter, SC. The only problem – the plant was still under construction. How could the company give potential new employees a taste of what it is like to work for a tire company if the facility wasn’t even finished yet? Enter readySC™, which collaborated with Continental Tire to develop an innovative training simulation that combined technology with a physical re-creation of a tire production environment. Designed by readySC to meet the unique needs of a start-up facility, the program helped trainees learn in a simulated industrial environment while the Continental site was under construction. Following a discovery visit to one of Continental’s established facilities, readySC began brainstorming how an iPad application might be used to replicate the tire inspection department for training purposes. The resulting application that was developed included a wireless Bluetooth scanning device similar to the one used in the work environment. The iPad application and scanner were used during pre-employment training to gauge the trainee’s knowledge and understanding of tires and the inspection process. It also provided a unique self-selection means to measure a person’s desire and endurance in handling tires for an extended period of time. Pre-employment training began in a classroom at the local technical college. In this environment, trainees learned about tire manufacturing in general and specifically about Continental’s strong emphasis on safety. Trainees then moved to a training lab designed to replicate the inspection area at Continental. In this training bay, participants began a hands-on inspection simulation. Each station in the training bay was equipped with tire racks, manual turntables and an iPad. Using the iPad connected via Bluetooth to a barcode scanner, trainees entered information about the tire into a specially designed software application. As part of the training, participants inspected a rack of tires following a prescribed simulation cycle. During two 50-minute practice sessions, instructors interacted closely with trainees to answer any questions. Meanwhile, with the help of the iPad, participants received real-time feedback about their progress. After the inspection simulation, trainees completed a 20-minute comprehension test. At the end of each session, the application exported simulation performance data and test results. The company received these results on a regular basis. Once construction on the Continental site was complete, the need for an off-site simulation changed as on-site training became available, and the training plan evolved accordingly. However, the readySC solution was an integral part of the company’s initial start-up phase. In 2011, Continental Tire selected Sumter, SC to be its first North American passenger/light truck tire plant built since the 1970s. At production rates of 8 million tires per year by 2017, the site would employ 1,600 skilled workers. 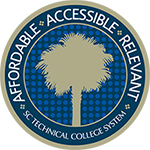 readySC™ partnered with Central Carolina Technical College (CCTC) to provide customized recruitment and training solutions designed to meet the organization’s specific workforce and training challenges. readySC also partnered with Apprenticeship Carolina™ to offer Continental customized apprenticeship training programs to meet highly skilled and future workforce needs. More than 650 employees have been recruited and trained so far. Production of tires began three months ahead of schedule. readySC and CCTC will soon open the Advanced Manufacturing Technology Training Center through a collaborative partnership with the city of Sumter, Sumter County, the state of South Carolina and federal funding. This facility will offer necessary skills training for the employees of Continental Tire, as well as for students of CCTC and the growing workforce of Sumter County.